Healthy, Shiny Hair: How To Do A Hair Spa At Home! What Is A Hair Spa, You’Re Probably Wondering? A hair spa is a deep conditioning, nourishing hair treatment that includes the application of a few products in a certain order to your hair. The hair is oiled, steamed, shampooed and conditioned. The final step to seal the deal is a hair mask, also referred to as the hair spa treatment. At the end of the hair spa, your hair is silky, soft and more frizz-free. It’s recommended to do this treatment once in 15 days or before an important event. The hair spa could be a natural hair mask or a store-bought product. A typical hair spa treatment takes about an hour in the salon and your hair is left feeling SUPER SOFT and nourished from root to tip. How Long Do The Results Of A Hair Spa Last? Results typically last until you wash your hair. If you’ve used a deep conditioning hair product, it might last you for 1-2 washes. Your hair will go back to normal after that. You definitely need to be regular to bring your hair back to its original state. What Is The Process Of A Hair Spa? Well there are usually 5 steps involved in any hair spa. You start by oiling, steaming, shampooing and conditioning your hair. The last and final step is the hair mask. It takes a little over an hour to complete the entire treatment. How Much Does A Hair Spa Cost In The Salon? In the salon, the treatment could cost you upwards of INR 1,000 depending on your hair length. Can You Do A DIY Hair Spa At Home? Yes, most certainly. It’s going to take a little effort, but it’s definitely do-able and more cost-effective. 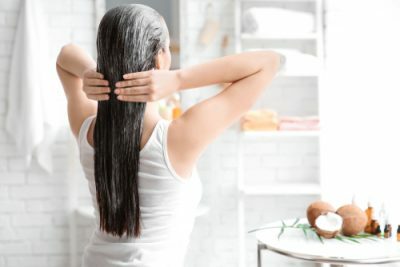 If you do the hair spa at home, you can use all natural ingredients or you can buy a big tub of a salon professional hair spa and use it a few times at home. When your hair is dry, rough and dull, you might want to get a hair spa treatment done. But you don’t need to visit a hair salon, because you can do a fabulous job at home just by using natural ingredients. Not only is it affordable and devoid of any chemicals that may damage your hair in the future, it will also save your hair from split ends. 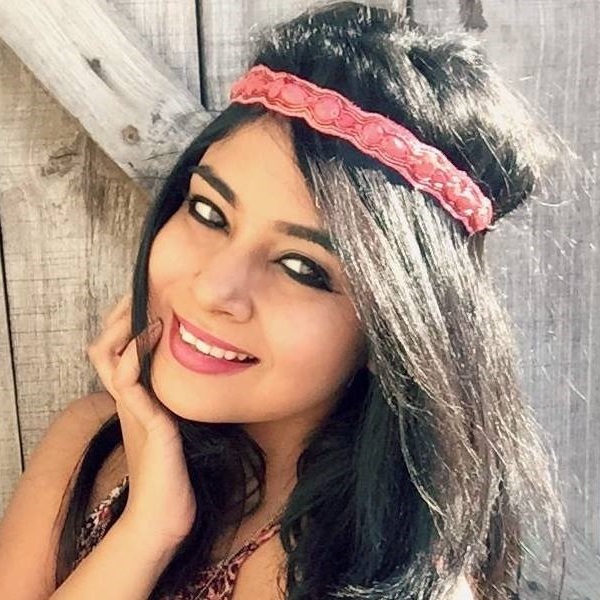 Here’s how you can get silky, soft hair in the comforts of your home! Step 1: Start with a hot oil massage first! A hot oil massage is the very first step of a hair spa. You can use coconut, almond or olive oil for this. Heat it and pour the lukewarm oil all over your hair and massage your scalp for a good 20 to 30 minutes. We bet you’ll feel super relaxed once you do it. Once you’re done getting a nice head massage, it’s time to let your hair take in some steam. Pour some hot water into a bucket and dip a soft towel into it. Once the towel has absorbed the hot water, squeeze it till all the water is out. Wrap the damp, warm towel around your head and leave it on for a good 15 to 20 minutes. Understand that steam enables the oil to penetrate into the scalp and provide deep nourishment to the hair. If you don’t want to use a hot towel, use a facial steamer to steam your hair and scalp. Step 3: It’s time to shampoo! Now comes the important part. 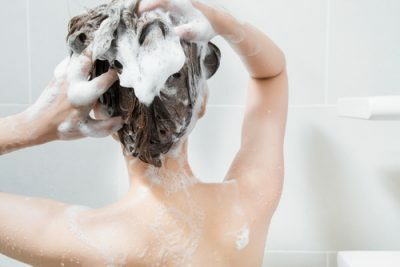 Step into the shower and give your hair a good wash using a mild shampoo. Make sure that all the oil is washed out from your hair completely. Shampoo again if needed and rinse it off with lukewarm water. Step 4: Hair mask to the rescue! The last step of your hair spa is to seal the deal. A hair mask will lock in all that moisture and goodness into your strands. 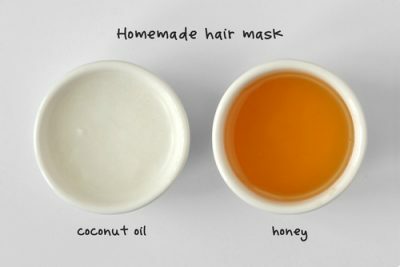 You can use a store bought hair mask or a natural hair mask made with kitchen ingredients. You won’t believe just how many hair masks can be made by using ingredients from your kitchen itself. Yes, it’s that simple. There are a variety of hair mask recipes to choose from and there are varieties of hair spa treatments that you can buy. We totally love the banana and honey hair mask. While bananas are loaded with vitamins A, E & C, and potassium, honey helps nourish your hair and gives it a glossy sheen. Step 1: Slice two bananas and toss the pieces into a blender. Step 2: Scoop out the pulp with the help of a spoon and empty it into a glass bowl. Step 3: Add a tablespoon of honey and coconut oil. Step 4: Gently dip your fingertips into the bowl and use them to apply the mix on your hair. Step 5: Leave the mask to dry for about 10-15 minutes and wash it off with chilled water. If your hair is dull and dry, avocados are soon going to become your best friends. Rich in all the right vitamins and fatty acids, this exotic fruit is so much more than just food for your soul. 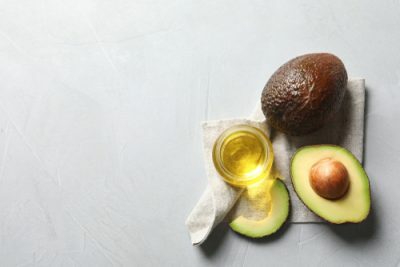 Once you’ve deseeded the avocado, set aside a few spoons of almond oil. Step 1: Cut the avocados into small pieces and toss them into a blender. Step 2: Add some almond oil and a little bit of milk and blend until you have a smooth paste. Step 3: Apply this mask to your damp hair and leave it on for about 30 minutes. Step 4: Shampoo and rinse as you normally would! Use cold water for your last rinse, it’ll help lock in the moisture and nourishment. A hair mask using olive oil and yoghurt is nourishing and the lactic acids in yoghurt help exfoliate your scalp. 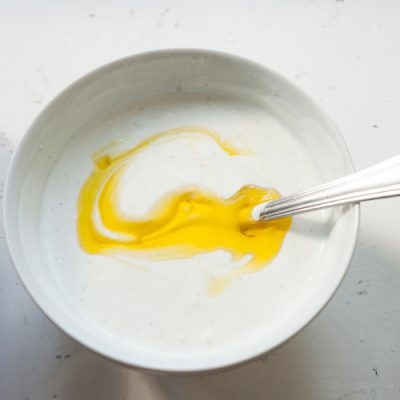 Yoghurt is rich in Vitamin E, lactic acid, proteins and zinc making it a powerful hair conditioner. It’s going to help you effectively deal with issues like dandruff, dry, flaky and itchy scalp while effectively deep conditioning your hair. Step 1: Take a cup full of yoghurt. Step 2: Add 1-2 tablespoons of olive oil to it and mix well. You can even put it into a blender. Step 3: Apply this mixture to your hair and scalp and leave it on for as long as you like. If you’re comfortable, you can leave it on overnight. Else you can wash it off with a mild shampoo in 30-45 minutes. If you live in India, chances are you’ve already heard a 101 reasons why coconut oil is good for your hair and skin. And in case you haven’t, I’m going to reiterate it for you for the 102nd time! Coconut oil is full of fatty acids, vitamins, minerals and tons of nutrients that help deep condition your hair. The oil is able to penetrate deeper into your hair cuticle than most hair conditioners which is why it’s touted as one of the best hair treatments. 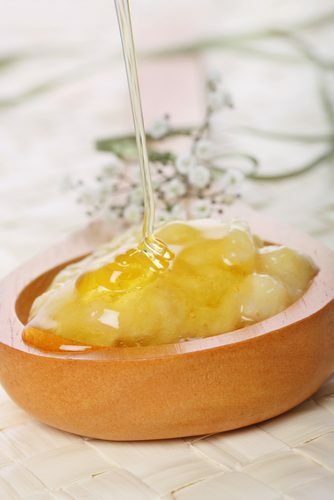 Honey, on the other hand, is a natural humectant, this means it’s going to attract moisture to your hair. So if dry hair is your concern, a pop of honey is what you need! Step 1: Heat a few tbsps of coconut oil in a small bowl. Step 2: Add 1 tbsp honey to it and mix well. Step 3: Apply this mixture to your hair and scalp and leave it on for at least an hour. Step 4: Use a mild shampoo and rinse! 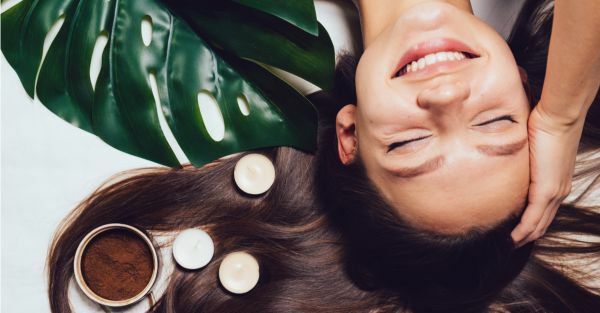 Now that you know exactly which kitchen ingredients will help soften and nourish your hair, let’s give you a few ready-to-use options for those days when you’re lazy, shall we? Price: Rs 600. Buy it here. 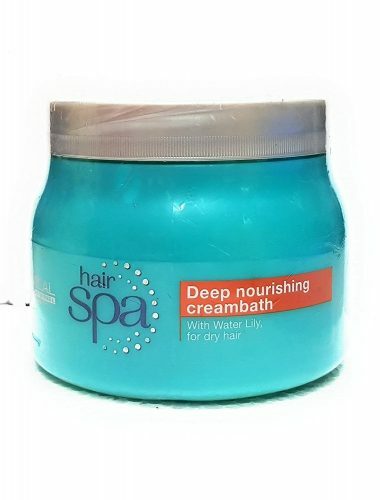 The most commonly used hair spa treatment in salons is definitely this big blue tub from L’Oreal. It’s pretty easy and affordable when you buy the entire tub versus getting the treatment in salon. The treatment in a salon can cost you around Rs. 1,000 and above whereas the tub costs around 500 if you pick it up on sale! If you have very long hair, you can still get around 4 uses from this. The hair spa cream is deeply nourishing and you can mix it with the concentrated ampoules (that need to be purchased separately) to make the treatment even more effective! 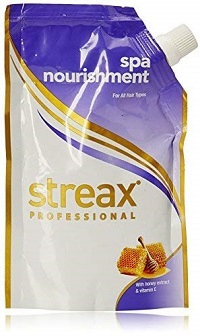 If you’re looking for a cost effective hair spa, this one from Streax Pro is perfect for you. It’s got honey and Vitamin E to moisturise your hair and make it look and feel more manageable. And the packaging is pretty clever, it’s not going to take up too much space in your washroom or your suitcase! Price: Rs 165. Buy it here. 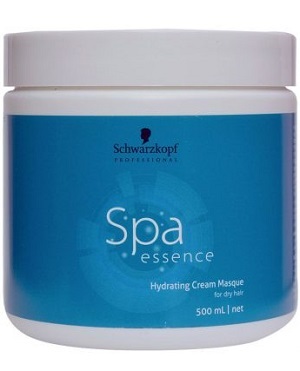 Another one of those commonly used hair spa creams, this one from Schwarzkopf has hydro-keratin complex to nourish your hair and bring back any lost moisture. With frequent use, your hair will be silky, smooth and frizz-free! Price: Rs 165. Buy it here. 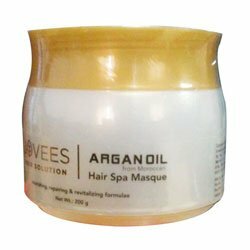 If you’re looking for an affordable Argan oil hair spa, this one from Jovees might just be perfect for your budget. The moroccan oil present in this will help repair dry and damaged hair and bring life back to dull hair. Definitely worth a shot! If you want to further the effect of this hair treatment, use it in conjunction with the shampoo and conditioner! Price: Rs 369. Buy it here. 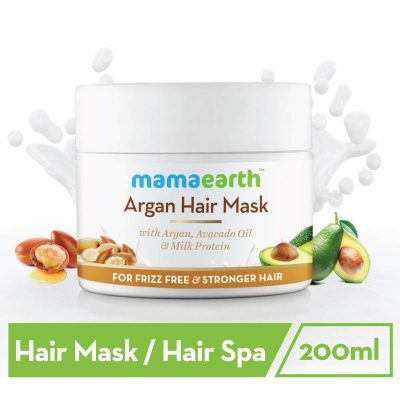 If you’re looking for a product that’s made without any parabens, chemicals and sulphates, this hair mask from Mamaearth is perfect. It’s got argan oil, milk proteins and avocado oil to nourish your hair and scalp. If hair fall during or after pregnancy is something of a concern to you, this is safe to use since it contains no bad stuff! And that’s it you’re done! Do NOT forget to do this once a week or, at the very least, once a month. The results will not only be evident, but your hair texture too will improve immensely. Say hello to glossy, healthy and manageable hair from now on! Good luck, girls. Price: Rs 538. Buy it here. Images: Shutterstock POPxo is now available in six languages: English, Hindi, Tamil, Telugu, Marathi and Bangla. AWESOME NEWS! POPxo SHOP is now Open! Get 25% off on all the super fun mugs, phone covers, cushions, laptop sleeves, and more! Use coupon code POPXOFIRST. Online shopping for women never looked better! This story was updated in January 2019.